Features: Pool, clubhouse, laundry room, lake and nature views, on-site mgmt. Features: Tot lot, lush landscaping, laundry room, on-site mgmt. Features: Lush landscaping, gazebo, laundry & rec. room, on-site mgmt. 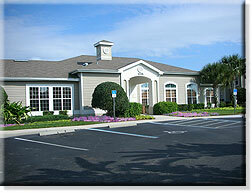 Features: Pool, clubhouse, laundry room, tennis court, jacuzzi, on-site mgmt. Features: Waterfront site, clubhouse, pool, lush landscaping, on-site mgmt. Features: Lake view, tot lot, laundry room, lush landscaping, on-site mgmt. Features: Lush landscaping, tot lot, laundry room, on-site mgmt. Features: Lush landscaping, shuffleboard, laundry & rec. room, on-site mgmt. Features: Lush landscaping, laundry & rec. room, on-site mgmt. Features: Lush landscaping, tot lot, laundry, on-site mgmt. Features: Pool, clubhouse, laundry room, lake, weight/aerobic room, tot lot, on-site mgmt. Features: Lush landscaping, laundry room, tot lot, on-site mgmt.